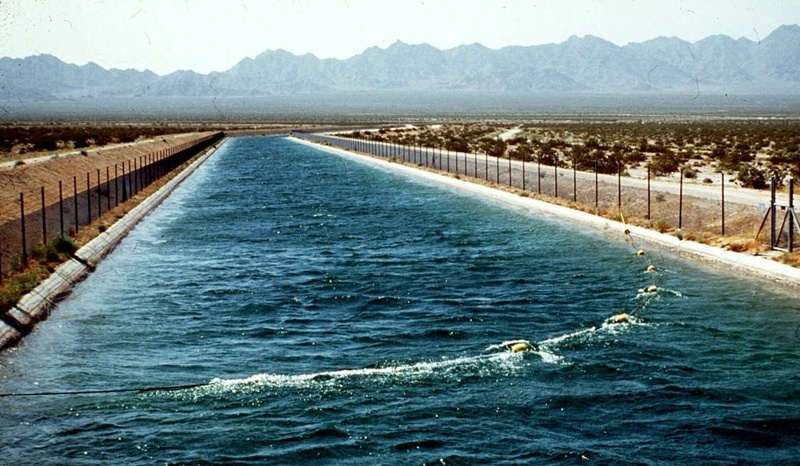 Water flows through the Southern California desert in the Metropolitan Water District's Colorado River Aqueduct from the Colorado River to the Los Angeles area. A pricing dispute has sharply escalated hostilities between San Diego and the agency that delivers water to much of Southern California, straining an odd partnership already defined by years of lawsuits and heated rhetoric. The San Diego County Water Authority launched a website to attack the MWD, its largest supplier, saying it wanted to lift a veil of secrecy. The site displays a trove of internal documents obtained under California’s public records law, including references to a "Secret Society" and an "anti-San Diego coalition." Southern California's growing thirst for fresh water continues to put pressure on the region's two main sources of imports: The ecologically troubled San Joaquin Delta and the overdrawn Colorado River. Many say that they may not be able to supply enough water for future demands, but water managers in San Diego are now considering supplies that were too expensive to develop, just ten years ago. KPBS Reporter Erik Anderson has the story.